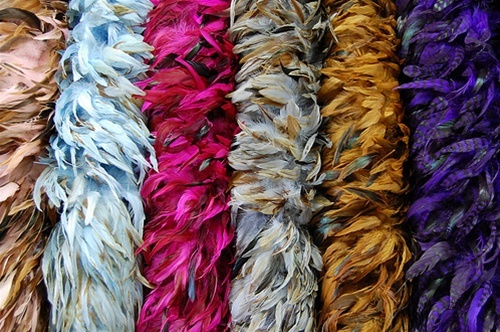 Schlappen Boa made from the feathers of the body of the Rooster. It is Dyed to colors and there is some irridescent streaks thru the boa. Very popular for Costumes, Theatrical, Mardi Gras, Carnival and many other functions. Sold in standard Two Yard Lengths.